Thomas Boys (active 1840s-1859), Fine art publisher. Artist associated with 18 portraits. William Fisk (1796-1872), Portrait and history painter. Artist associated with 5 portraits. 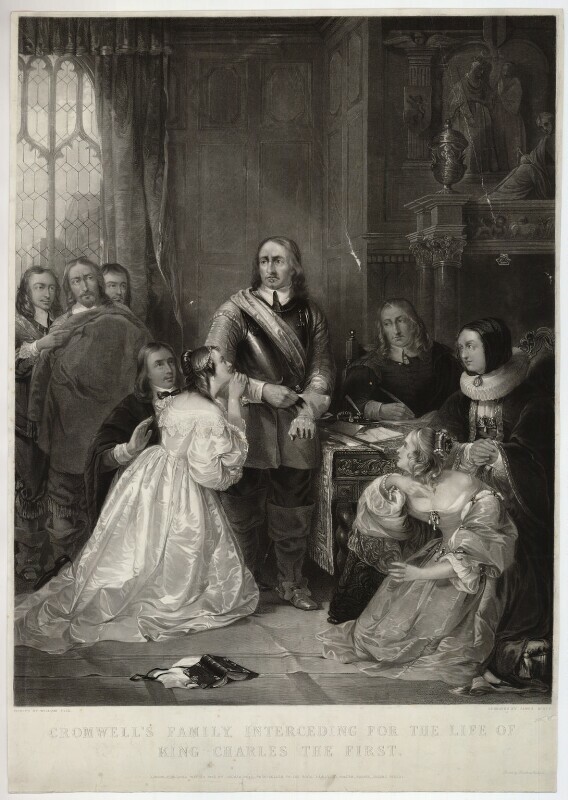 Elizabeth Claypole (née Cromwell) (1629-1658), Daughter of Oliver Cromwell. Sitter associated with 7 portraits. Elizabeth Cromwell (née Bourchier) (1598-1665), Wife of Oliver Cromwell. Sitter associated with 3 portraits. Henry Cromwell (1628-1674), Son of Oliver Cromwell and statesman. Sitter associated with 13 portraits. Richard Cromwell (1626-1712), Lord Protector of England. Sitter associated with 22 portraits. Bridget Fleetwood (née Cromwell) (1624-1662), Daughter of Oliver Cromwell. Sitter associated with 1 portrait.